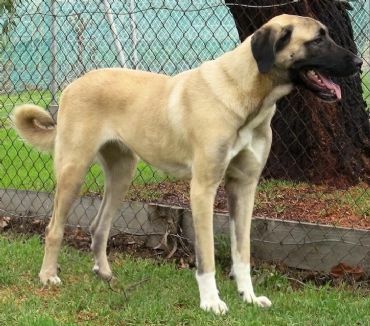 Rom Champion BONNIE (IMPORT TURKEY) was the first Anatolian Shepherd Dog to be imported from Turkey to Australia. Bonnie's registration process pioneered by Takas, paved the way for future FCI Coban Kopegi imports from Turkey to Australia. BONNIE was purpose bred in Turkey from hand selected native shepherd dogs, identified during months of field trips throughout central and southern Turkey in 2010 and 2011. 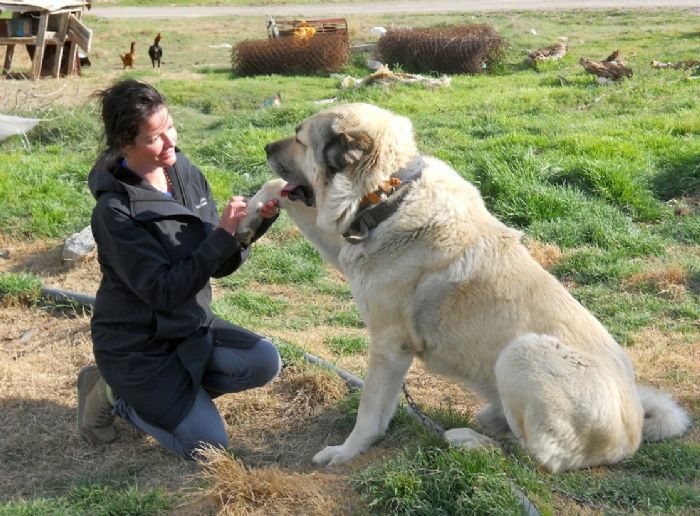 Her genuine working heritage and remarkable familial history is intended to contribute a genotype of longevity and substance to Anatolian Shepherd Dogs in Australia. BONNIE brings together two families of Turkish shepherd dogs - TYSON & TALAZ - known and respected in Turkey for their remarkable physique, familial longevity and kurtbogan (wolf killer) temperament. This is the first time bloodlines of esoteric TYSON and TALAZ have been registered outside of Turkey - the gift and export of BONNIE (IMP) was enabled by family and long-standing friendship. 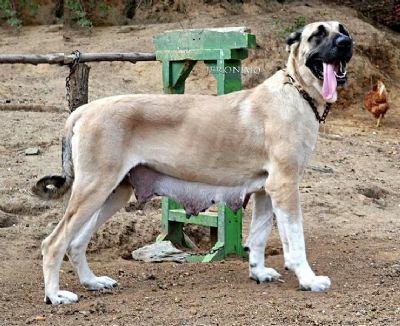 Daughter of Tuzköy Karapinar ZARA & Kangal Kurtbogan KARA. ZARA (TURKEY): brought by Takas from Kahramanmaras to Ankara at 6months of age. Own daughter of ‘dev gibi’ TYSON - Champion of Denizli, and Tuzkoy MAHDI. Sister of Balyoz and Toygar. KARA (TURKEY): Representing the Kurtbogan TALAZ bloodline - generational working Kangal of Sivas, sire of kurtbogan (wolf killer) Memati & son of the amazing Mercan : honored matriarch of field dogs utilised by Turkish Shepherds until her passing at 17yo, regarded for her exceptional longevity, noble head and classic physique. PHOTO 1. Young Bonnie on arrival in AQIS Melb. PHOTO 2. Zara, mother of Bonnie. PHOTO 3. Meeting up with old friends, TYSON still grand at 12 years (Denizli Turkey, 2014). **Karapinar & Tuzkoy are unique to regions of West Anatolia; Nevsehir; Kahramanmaras. Their morphology (thick long bones, strong back, powerful rear) reflect a history and utilisation from Hittites times as guardian dogs and wrestlers. Through Bonnie, the bloodlines and unique physical traits of these dogs are now in Australia.